Milwaukee County has a powerful online mapping tool which integrates a fully featured Geographic Information System, GIS. There are many layers that give useful information including historic aerial photos of the city and county going back to 1936. 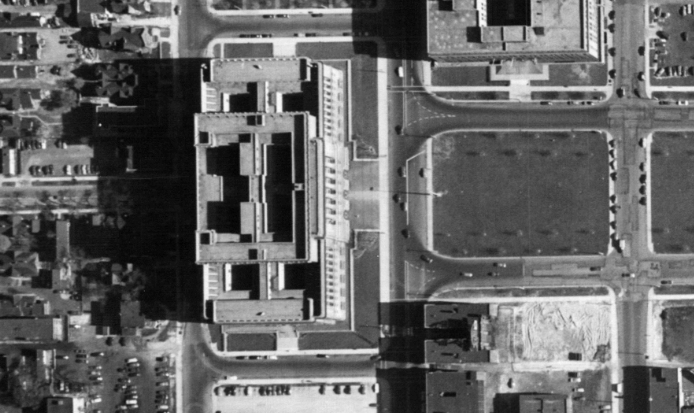 The 1951 aerial photo layer was completed in January which shows a highly detailed view of the entire county. Hopefully later this year an additional aerial photo set from 1928 will be included. Also for those interested, there is up to date housing foreclosure information updated at the end of the year. As with any government GIS map, finding information on property owners is a simple click away. There is a little learning curve for people unfamiliar with using GIS maps but you cannot break it so play with it to learn. The Wisconsin Historic Society is a great resource for online research with its collections of images, books, newspaper articles, historic buildings, etc. Now they have added online browsing to a portion of their map collection which includes several amazing old maps of Milwaukee. The Increase Lapham drawing of the city from 1836 shows all of the landholders in the town. An 1856 birdseye map will keep you occupied with the amazing detail as you zoom in. View the page for their online collection here. The Milwaukee Public Libraries has just added a new subscription to Sanborn historical fire insurance maps. These can be accessed with your library card from home. 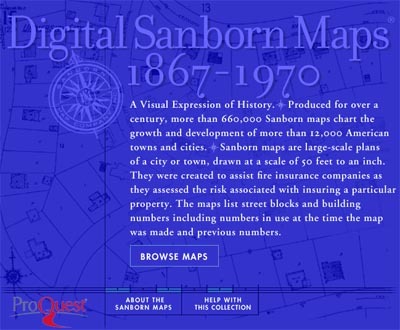 This is a great resource and includes maps from 1894, 1910, and 1951 which cover the entire city.